Burlington Senior Center is a local community center for seniors. The center has social activities like playing cards, listening to a jam session or participating in a book club. When they contacted me, they didn't have a website. Only people local to Burlington Wisconsin knew about the center. They wanted a website to help people learn about the center, come in for activities and let seniors become apart of their community. 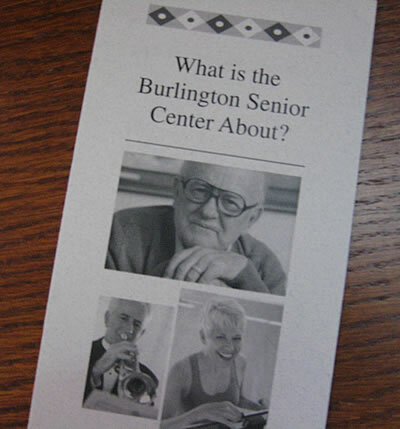 The Burlington Senior Center didn't have much information on what services and activities they offered. They distributed a simple brochure that explained their services and activities. I started by researching local senior centers websites. From these sites, I learned what type of information they provided. Using this information and the brochure, I built a sitemap to determine the pages needed. I sketched out a few of the pages of the site. Working with the Editor/Director, we wrote the content that would go on each page. I suggested using WordPress to build the site. The Editor/Director wanted a simple, uncluttered design. He also wanted it to reflect that Burlington is "Chocolate City". We chose colors that represent chocolate. I created a custom WordPress theme. 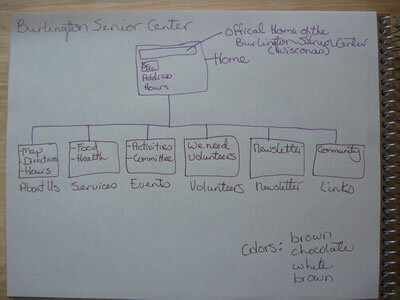 To show the personality of the Burlington Senior Center, both the Editor/Director and I took photos. We carefully chose photos that complimented the content on the page. Seniors from the surrounding towns of Lyons, Rochester and Waterford now come and enjoy playing cards and making new friends. 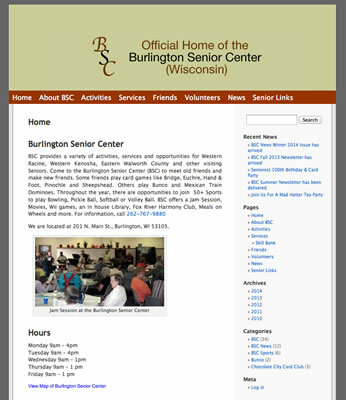 The website has help to let local seniors know what the center has to offer.